EuroVelo 13 known as Iron Curtain Trail runs along the former Iron Curtain formerly known as a impenetrable border between the western and eastern Europe. 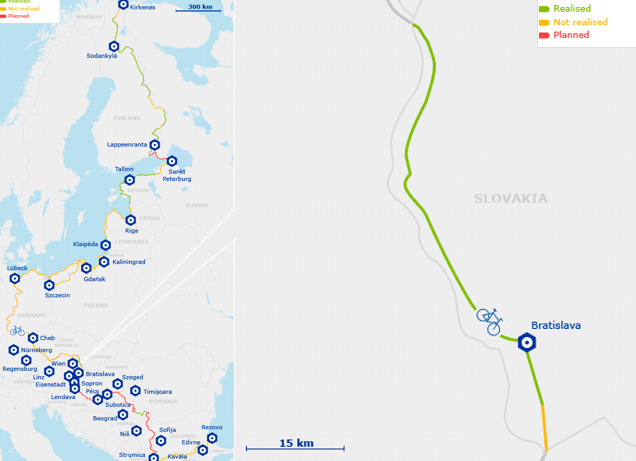 This 10.400 km long trail crossing 20 different countries leading from the Barents Sea in the north to the Black sea in the south is the longest of all EuroVelo trails. 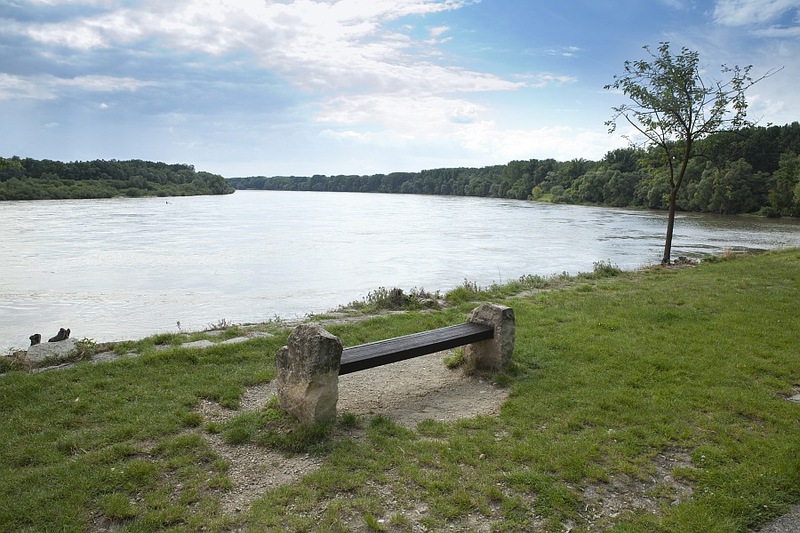 The 90 km passage of the trail located in Slovakia copies the flow of the rivers Morava and Danube. This location is abundant in notoriously famous and well known sights and places of interest (starting with the caste of Devín and the paleontological location of Sandberg through picturesque villages of Záhorie finishing with the system of II World War bunkers). 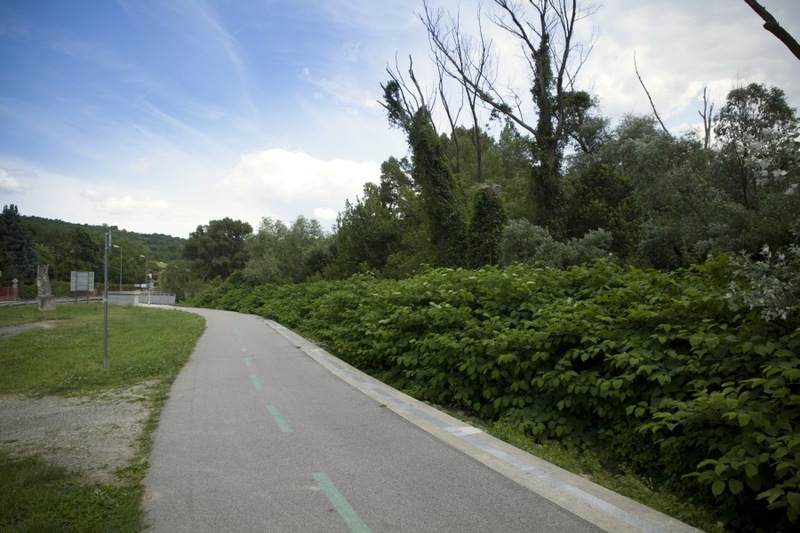 Except for several kilometres between Devín and Bratislava, this trail is located on independent roads free of traffic (especially on the dam and former army roads) or on the roads with little traffic. This trail is absolutely flat without any superelevations and is on the asphalt surface almost in its full length. 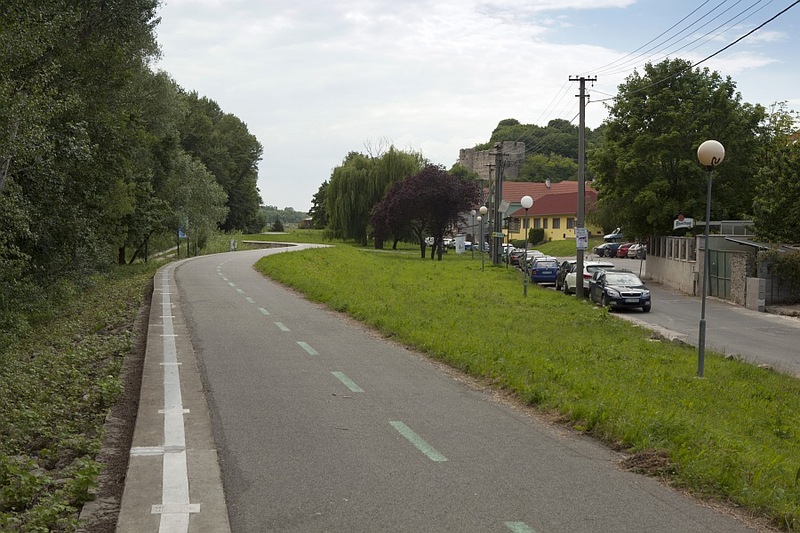 In its whole, this trail is marked as red cycling trail (red signs “C” and sign-posts bearing the logo EuroVelo 13) and is very well interconnected with other cycling trails within the region of Záhorie, Podunajsko, Austria and Hungary.